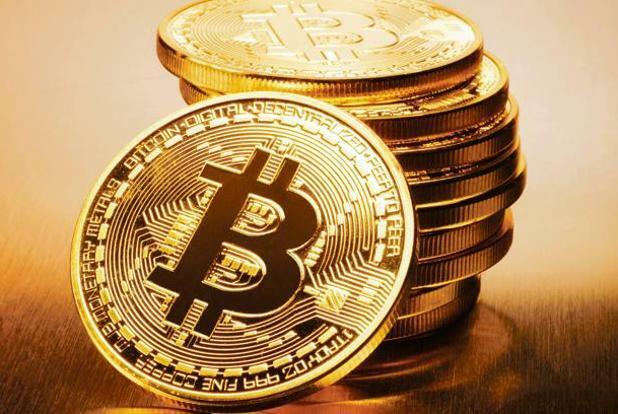 After a drastic sell-off of upwards of 20%, the cryptocurrency market finally found some much-needed stability (relatively) on Wednesday, with Bitcoin (BTC) seemingly finding some semblance support at the $6,300 range. Over the past 24 hours, BTC has moved between $6,100 and $6,400, most recently jetting to a daily high at $6,400 after some deliberation in the mid $6,300s. At the time of writing, BTC is valued at $6,405 a piece and is up 1.5% in the past 24 hours. But many see this round of short-term price action as irrelevant, as what’s important is that the price of the foremost crypto asset remains above the ever so important lines of support that reside at $5,800 and $6,000, which have been touted and cited as key levels to watch over crypto’s recent history (past few weeks/months). Although Bitcoin has been faring well, some leading altcoins actually outperformed BTC today, with coins like Ethereum and XRP posting gains of 3.75% and 4.5% respectively. 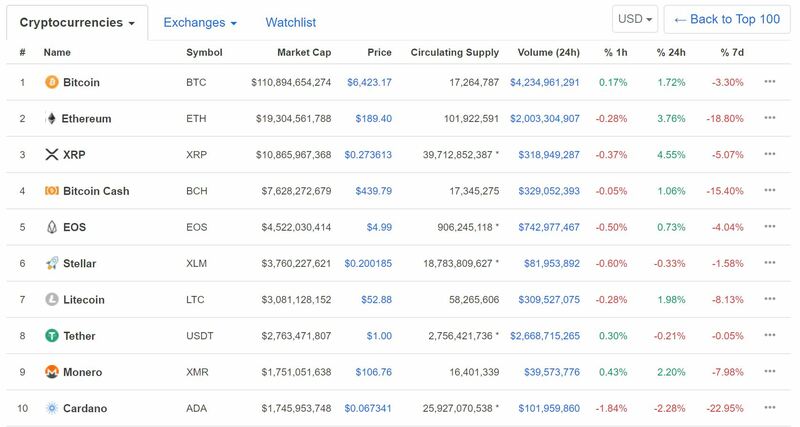 On the other hand, however, there were still a few stragglers, with crypto assets like EOS, Stellar Lumens, Cardano and Bitcoin Cash barely seeing any price action over the past day. Although ETH has seen a healthy bounce, as covered by Ethereum World News, Ethereum has become a rather contested topic within the cryptosphere, as the price of the asset fell by nearly 20% in the past week, which is a substantial amount when you take Bitcoin’s -3.3% weekly performance into account. Many attributed ETH’s disappointing performance to an ICO sell-off, where projects began to liquidate their cryptocurrency war chests to secure a fiat position. A reported 153,000 ETH ($30 million approximately) have been ‘spent’ by projects in the past seven days, with this selling pressure likely being one of the culprits that saw Ether tumble throughout the past week. Regardless, there are many that hope that the long-awaited reversal is around the corner, that may hail in the next exponential bull run that many speculators have been waiting for. Crypto is not dead, and certainly the underlying technology is not dead. We’re going to see more widespread adoption, by both the private and public sector, of the blockchain technology and related technologies. Such sentiment from a foremost legacy market analyst is undoubtedly bullish, as it shows that despite the 80% correction, there are still many that believe in the long-term prospects of this industry and the technology backing it. In terms of crypto, what we’re getting is the realization that adoption is not going to be as big and as quick as the proponents of crypto would like. I think it’s going to be there, it’s going to last for a long time, it’s going to play a role in the ecosystem, but it’s not going to be the currency that a lot of proponents would like it to be.